I think the reader will agree that we have attained a good balance in Volume 6 between human-or animal-host and plant-host-related topics from outstanding research scientists. 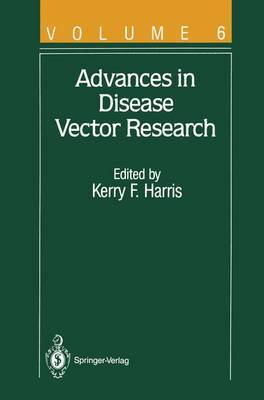 In Chapter 1, Frank Collins, Susan Paskewitz, and Victoria Finnerty explore the potential of recombinant DNA technology to distinguish indi- vidual species and to establish phylogenetic relationships among member species in the Anopheles gambiae species complex, which includes the principal malaria vectors. Currently, relatively little is known about these morphologically identical species that are sympatric over most of their range but are not always equally involved in malaria transmission. With respect to individual species identification, the researchers have thus far described two DNA fragments, derived from the ribosomal DNA interge- nic spacer region, that reliably distinguish five species in the complex by means of an RFLP visualized on a Southern blot. They have also described other species-specific fragments derived from a ribosomal DNA intron that could form the basis for a rapid dot blot assay. With respect to the phylogenetic relationships among member species in the complex, Collins, Paskewitz, and Finnerty focus on a comparison at the level of restriction site mapping and Southern analysis of the rDNA intergenic spacer regions. As expected, the two spacer regions near the coding region junctions are well conserved among the species, whereas the central regions tend to be highly variable among member species in the complex.